Anthony Comello is the man identified as the suspect in the murder of Frank Cali, the reputed boss of the powerful Gambino crime family. 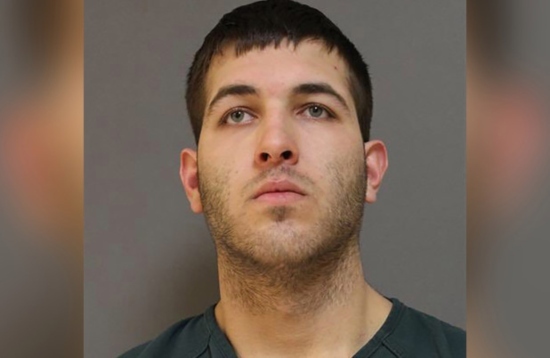 According to NYPD Chief of Detectives Dermot Shea, Comello was arrested at around 2 a.m. Saturday by the US Marshals’ New York/New Jersey Regional Fugitive Task Force in the Jersey Shore town of Brick in Ocean County. In a news conference, NYPD Chief of Detectives Dermot Shea said Comello is being held in a New Jersey jail and will be charged with murder formally when he’s extradited to the borough of Staten Island, where the killing happened. Cosa Nostra News reported through sources that Comello may have heard voices that night “to the extent that he ‘asked’ President Donald Trump and Vice President Mike Pence for permission to kill the Gambino acting boss.” Authorities have not confirmed that account. Online records give Comello’s last known address as being around 7 miles south of where Cali lived with his family. Cali lived in Todt Hill and Comello in Eltingville. According to Comello’s Facebook page, he attended Tottenville HS in Staten Island. He is listed as single on his account bio. A 2016 photo shows him carrying a little boy at an apple orchard as a little girl looks on. He has also posted several pictures of his dog, a blue-nose pit bull named Smokey.